The design of the Croatia flag draws on the nation's ancient history. Croatia represents the merger of several medieval kingdoms, and the flag of Croatia represents the merger of those nations' coats of arms. The flag of Croatia is a horizontal tricolor of red, white, and blue with the national coat of arms in the center. The coat of arms consists of a shield with a checkered pattern of red and white squares below a crown that is made of five shields. Each of the little shields displays a unique pattern that represents one of the five primary regions of Croatia. 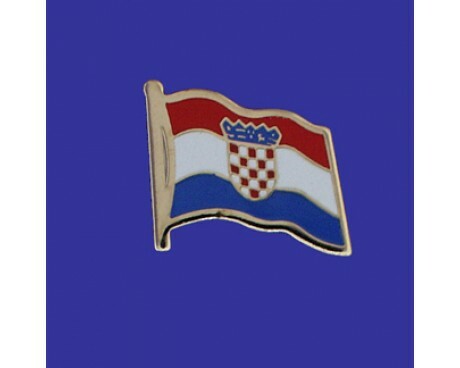 The colors of the Croatia flag were chosen to represent the historical kingdoms of Croatia, Slavonia, and Dalmatia. 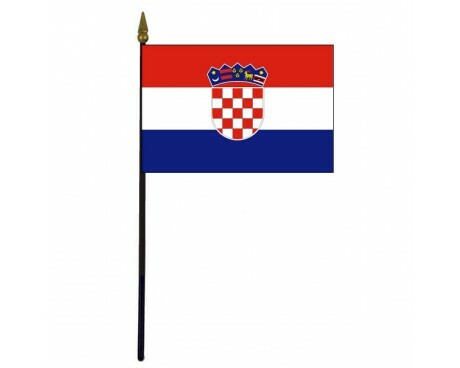 The Kingdom of Croatia identified itself with red and white banners during the medieval period, while Slavonia used white and blue flags and Dalmatia relied on blue and red. 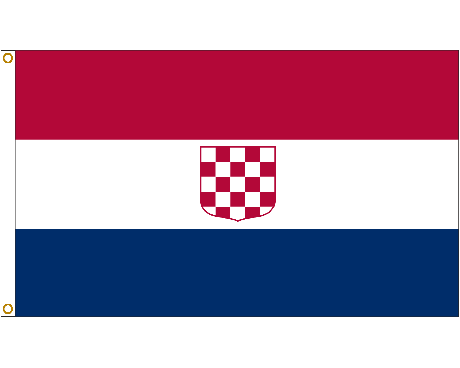 The combination of those colors in the modern flag represents the combination of the lands of those ancient kingdoms in the modern nation of Croatia. The Croatian tricolor flag dates back to the nationalist movements that swept across Europe in 1848. Croatia was part of the Austrian Empire at the time, but the design came to represent the region despite its lack of political independence. The earliest form the flag use an alternative form of the coat of arms and a lighter shade of blue than the current flag, but it can easily be recognized as a clear precursor to the modern design. 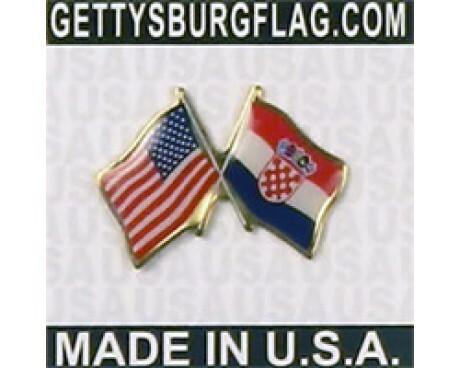 Croatia became part of the new nation of Yugoslavia after the fall of the Austrian Empire in 1918, but it continued the tradition of representing itself with unique flags. The flags of Croatia followed the same general design as the modern flag, but several variations on the current coat of arms were used over the years. Croatia replaced the coat of arms with a red star in 1945 when it acquired a socialist government, and it used that flag until that government left power. The modern flag came into use in 1990, which makes it one of the youngest flags in Europe.